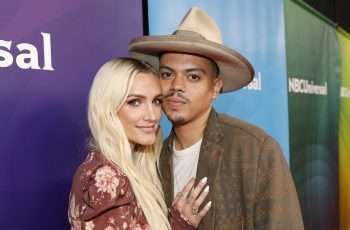 Ashlee+Evan is a new reality show that centers on the lives of married couple Evan Ross and Ashlee Simpson-Ross. Along with giving viewers and up close and personal account of their relationship, the program also spotlights their journey in making a duet album. Click on the media bar to hear Ross talk about infusing the show with a documentary feel, and Simpson-Ross discusses how sister Jessica Simpson’s own reality program (Newlyweds: Nick & Jessica) influenced her approach to Ashlee+Evan. Ashlee+Evan debuts September 9 (10 pm et/pt) on E!.